That turned out to be a golden decision. Offered a track scholarship, Boston enrolled at Tennessee A&I, now known as Tennessee State University, famous for the women’s track team lovingly called the Tigerbelles. The Tigerbelles sent 7 athletes to the 1960 Rome Olympics, yielding an incredible 6 gold medals among them. Boston was no slouch either, having set a world record in the long jump only weeks before the start of the Rome Olympiad. In fact, he broke Jesse Owen‘s mark, one that stood for 25 years. Boston was definitely a favorite to break Owen’s Olympic record from the 1936 Berlin Games, and take gold home as well. And yet, it was Boston’s first Olympics, and he was intimidated. It was probably the scariest day of my life – 1960 in Rome, September 2nd. I’d never seen that many people before in my life. The stadium had something like 85,000. His teammate Bo Roberson, and Soviet jumper, Igor Ter-Ovanesyan were also gunning for gold, but they knew they had to best Boston to get it. Boston’s first leap in the broad jump finals was decent at 7.82 meters (25’ 8”), but Ter-Ovanesyan,the Soviet favorite, was better at 7.90 (25’ 11”). Boston fouled on his second leap while his teammate set the Olympic record with a leap of 8.03 meters (26”4 ¼”). That must have gotten Boston’s motor running. As David Maraniss described in his book, Rome 1960, Boston made sure not to foul again. Returning to the infield, he took his position at the end of the runway, 100 feet from the takeoff point. He had already fixed his spots precisely with the steel tape measure. One deep breath, relax, four loping strides – free and loose to unlimber his body – and then he was at full speed, trying to clear his head of all but a few key thoughts. First the starting mark. He had to spring into the air as close as possible behind it,but not go over into the narrow putty forestrip and get disqualified. Speeding down the runway for this final jump in Rome, he felt something slightly amiss and had to adjust his stride just before takeoff. Once airborne, he tried to concentrate on bringing his feet back within 10 or 12 inches of each other for the landing. Not perfect. As Boston recalled in this interview, he didn’t think much of the jump. When I landed, I thought it was a terrible jump. out of the pit as I normally do but I thought it was a terrible jump.When I saw the distance (26 feet 7 3/4 inches or 8.12 meters) I was very happy with that. I won. I won! Actually, he hadn’t won yet. He had indeed re-set the Olympic record, but there was still three more rounds to go. Boston fouled on his fifth leap and landed under 8 meters in his final leap, and was still in the lead, but he had to wait three others to take their final turn. The last to go was Roberson, who despite his heavily taped left leg with the balky hamstring, was a real threat to Boston’s dreams of gold. Roberson accelerated, hit his spot and launched high into the air. Upon his teammate’s splash into the sand, Boston could not tell if he had won or not. When the electronic scoreboard in Stadio Olimpico flashed the results, Boston saw that Roberson grabbed silver and Ter-Ovanesyan won bronze. Boston, somewhat surprised, somewhat relieved, had won Olympic gold. Even more surprised was his mother, whose fateful decision to steer her son from football to track yielded results beyond her expectations. Milkha Singh (right) barely edging out Abdul Khaliq in the 200-meter finals of the 1958 Asian Games in Tokyo. He arrived at Haneda Airport in May of 1958, camera bulbs popping and microphones thrust towards him. He was driven to The Dai-ichi Hotel escorted by police on motorcycles, greeted by fans asking for autographs. Having recently broken the Asian speed records in both the 400 meters and 200 meters, Milkha Singh was a sports hero throughout Asia, and was in Tokyo to compete in the 1958 Asian Games. But his defining moment of truth was still to come. The 200-meter competition was held the next day. Khaliq of Pakistan had won the 100-meter finals. Singh of India had won the 400-meter finals. Thus, bragging rights for fastest man in Asia would be determined in Asian Games 200-meter finals. After the starting gun was fired, and the six sprinters made their way up the straightaway, Khaliq and Singh were essentially neck and neck at the 100-meter mark. With Singh on the innermost lane and Khaliq a couple of lanes to Singh’s right, they both knew it was going to be a fight to the finish. Despite focusing on our running, we were each aware of the other’s progress and were pushing ourselves and our utmost limits. It was fast, it was furious, it was neck-to-neck. There was high drama. About three or four yards from the finishing line, I pulled a muscle on my right leg. Then my legs got entangled and I tripped and tumbled over the finishing line. At that very moment, Khaliq breasted the tape too. From Singh’s autobiography, The Race of My Life. Japan leveraged these 1958 Games, showing off its new National Stadium and its ability to run a major international sports competition. The next year, Tokyo was selected to host the 1964 Summer Olympics. 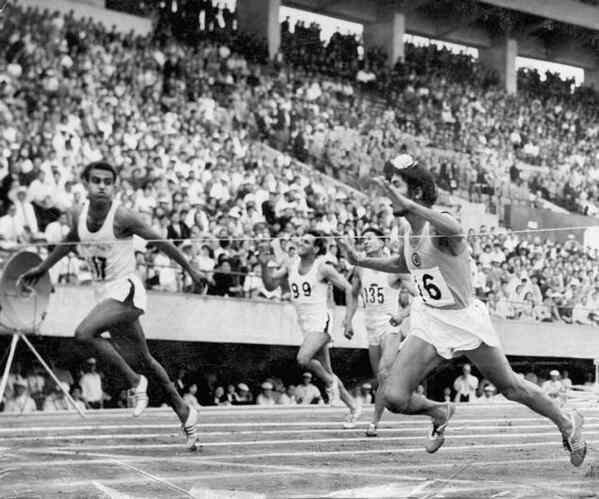 Singh would go on to take gold at the 400 meters at the Commonweatlh Games in London, and earn the moniker, The Flying Sikh, and become a favorite to be the first Asian to win a gold in track at the 1960 Rome Olympics. In the early 1960s, Milkha Singh, along with C. K. Yang emerged as the great Asian hopes in athletics. For introverts, people who have a preference for small groups, long solitary periods absorbed in books or thought, success in the glare of the spotlight comes with ambiguity, an appreciation for the recognition, but an annoyance at the loss of private time. All the attention was very flattering, but I also found it terribly draining. I slowly realized that my identity was disappearing. I was no longer Betty Cuthbert, the ordinary girl, but Betty Cuthbert, the athlete. My life wasn’t my own any more. Many people would probably have wallowed in the limelight but frankly I loathed it. It’s not that I didn’t appreciate what people did for me. I did. But how I wished I could have been just one of the crowd watching someone else up on that official platform. Gradually it all became too much for me and I began to have nightmares or dream that I was shaking hands with people. It was terrible but there was nothing I could do. I didn’t want to disappoint everybody who was trying to be so nice to me. But no matter what I did I never became used to the publicity. Cuthbert continued to train and run in competitions, having a bit of success here, and a bit of disappointment there. As a member of the Australian team at the Cardiff Empire Games in late 1958, Cuthbert said she began to dabble in the 440 yards to help her team get pints. In fact, she ended up winning, equaling the world record time of 55.6 second. Around the 75 yards mark I was leading when I heard Denis drawing up on me. I was trying hard to stay in front of him when … BANG … my right leg went on me. I’d torn a hamstring muscle. I missed about three weeks’ competition while I was treated by a physiotherapist. Cuthbert was on the road to recovery, but on the plane to Italy, her legs stiffened badly on the long flight. And when she began running on the cinder tracks in Rome, the injury began to re-emerge. Practice and marching in the Opening Ceremony were out of the question. When she lined up for her first heat in the 100-meters, she had a bad feeling. And when she tried to push it, she felt her hamstring pull back. She finished fourth and was out of the competition for the 100. She tried to make the 200s, but the pain in her leg told her no. And just like that, she was out of the Rome Olympics. Rome was a bitter blow to me. I shouldn’t have rushed back to competition as soon as I did after tearing the ‘hamie’ but there was nothing else I could do. Another week or a fortnight and I probably would have been as good as gold. But there hadn’t been the time for that. If I had stayed out much longer than I did there‘s not much doubt that I would have had to be dropped from the Olympic team. Many people have said that Cuthbert retired after the Rome Olympics because of her injuries or disappointment. But she emphasized in her book that she was tired of being the Golden Girl. I hated being a public figure to be looked at, talked about and pointed out every time I stepped outside my own front door. I’d been secretly nursing that hatred for four long years, ever since my wins in the Melbourne Games. Few knew how I felt. I’d never whispered a word to anybody but my family and closest friends. But finally it became unbearable. There were few places I could go without people recognizing me, wanting to touch me, shake my hand or get my autograph. It got to the point where I didn’t want to go out. I realized that being a successful athlete went hand-in-hand with being a public figure, but how I wished it hadn’t. I wanted to become just an ordinary girl like Midge (her twin sister). I wanted to go to dances, shows and parties whenever I felt like it, to wear a dress more than a track-suit, to play other sports where I didn’t have to worry about hurting my legs. I wanted to become a normal twenty-two year-old girl. That was January, 1962. 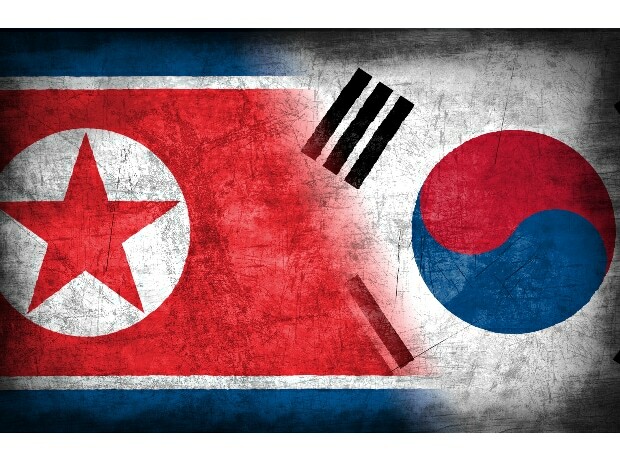 That was two years and nine months prior to the 1964 Tokyo Games. That was a fateful decision that would take her to Japan and cement her legacy as one of the greatest women’s track athletes of the 20th century. I was a very geeky Star Wars fan. On May 25, 1977, 40 years ago today, I cut school with a couple of other junior high school buddies to see the highly anticipated opening of George Lucas‘ magnus opus at the Astor Plaza Theater in Manhattan. I own original Star Wars posters, buttons, trading cards and various promotional items from that period. I even created a quiz that tested the Star Wars acumen of my friends, to very nerdy depths. One thing I didn’t know at the time was that the iconic baddie in black, Darth Vader, was represented by more than two people. We all knew that David Prowse was the body inside, and that James Earl Jones intoned Vader’s menace with his breathy baritone. But we didn’t know that the swordbuckling Vader was animated by a 1952 Helsinki Olympian from England named Bob Anderson. Anderson of Alverstoke, Hampshire served in World War II with the Royal Marines, where, according to The Independent, he learned how to fence. After the war, Anderson found success in competition, succeeding in the 1950 British Empire Games before joining TeamGB at the World Championships and the Helsinki Games. While his team finished fifth, Anderson went on to coach Great Britain’s fencing teams for the next five Olympics. His teams took silver at both the 1960 Rome Olympics and 1964 Tokyo Olympics. Along the way, Anderson became the go-to guy for swordbuckling fill-ins and fencing choreography in film. He worked with Errol Flynn in The Master of Ballantrae, Johnny Depp and Orlando Bloom in Pirates of the Caribbean, and Antonio Banderas, Anthony Hopkins and Catherine Zeta-Jones in the Zorro films. He was also brought in to choreograph the lightsaber fight between Obi-wan Kenobi and Darth Vader in Star Wars. When Lucas began work for the sequel, The Empire Strikes Back, it was likely determined that Prowse could not execute the lightsaber duels to the precision desired. That’s when Anderson the choreographer became Anderson the dark lord. It is Anderson who duels with Mark Hamill in The Empire Strikes Back, and it is Anderson’s Vader who cuts Luke Skywalker’s right hand off. I didn’t know this until recently. I will have to add this to my quiz. Anwarul Haque, who was a goalie on the 1964 Malaysian field hockey team, went on to become a lawyer, as well as serving eight years as president of the Singapore Cricket Club, where we ate and reminisced. In 1964, Singapore was undergoing political upheaval, having gained independence from Britain in 1963, and joining a federation of states that became Malaysia. Previous to that, Singapore had been a colony since Stamford Raffles arrived on the tiny island in 1819 to claim it as a trading post for the East Indies Company and the British empire. Before independence, Singapore was a bustling harbor town, its population growing quickly, but still relatively small at 1.5 to 1.8 million in the first half of the 1960s. So it’s quite understandable that in the sports history of Singapore, only 5 medals have been won by Singaporeans in the history of the Olympics, the first one – Singapore’s first silver – in 1960 and the last one – Singapore’s first gold – in 2016. Tan Howe Liang migrated with his family from southern China to Singapore and at an amusement park saw an exhibition of weightlifters and was hooked. He joined a weightlifting club, and soon became internationally competitive, finishing ninth in the lightweight category at the 1956 Melbourne Olympics, and then gaining confidence by winning gold at the 1958 Commonwealth Games, the 1958 Asian Games and the 1959 SEAP Games. In Rome, Howe Liang brought glory to Singapore with a silver medal in the lightweight category. Even earlier, at the 1948 London Olympics, Singapore had a representative as a part of British crown colonies. His name was Lloyd Oscar Valberg, and he competed in the high jump as Singapore’s sole athlete in the first Olympics after the Second World War. Valberg came in 14th. But he set the Singapore record for the high jump at the age of 17, and is a symbol of how far Singapore has come. Valberg’s nephew was Colin Schooling, and his son saw his famous relative as a role model. Inspired by his grand uncle, Joseph Schooling went on to take gold in the 100-meter butterfly in one of the most dramatic races at the 2016 Rio Olympics. Schooling beat a very strong field, including his childhood idol, Michael Phelps to win Singapore’s first gold medal.